Security Officers and frontline IT staff across all government departments, Cyber Surakshit Bharat will be operated on the three principles of Awareness, Education and Enablement. 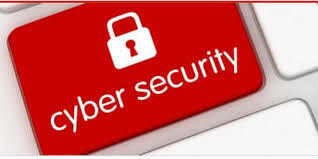 It will include an awareness program on the importance of cybersecurity; a series of workshops on best practices and enablement of the officials with cybersecurity health tool kits to manage and mitigate cyber threats. CyberSurakshit Bharat is the first public-private partnership of its kind and will leverage the expertise of the IT industry in cybersecurity. The founding partners of the consortium are leading IT companies Microsoft, Intel, WIPRO, Redhat and Dimension Data. Additionally, knowledge partners include Cert-In, NIC, NASSCOM and the FIDO Alliance, CISCO and premier consultancy firms Deloitte and EY.